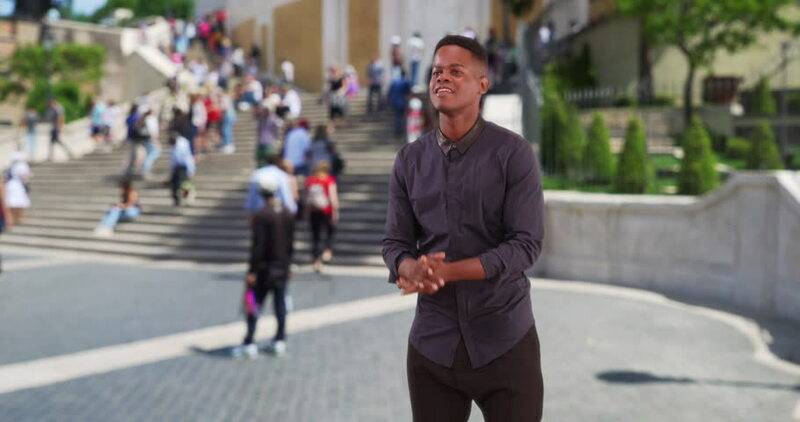 4k00:07Time-lapse of smiling African American man standing alone in city center with hands crossed enjoying city life and looking at camera. Youth and lifestyle concept. 4k00:304K Smiling businessman talking on phone as he walks through busy city street. hd00:15Generic people wander around aimlessly like shadows. Anonymous crowd of people strolling slowly along the seaside.